The combination of 2 or more breeds. The superiority of the crossbred animal as compared to the AVERAGE of the parents. Heterosis is the same as hybrid vigor. Heterosis has the greatest benefits on more lowly heritable traits. For example, fertility is a lowly heritable trait, so crossbreeding can be very helpful for a herd with fertility problems. On the other hand, ribeye area is a very highly heritable trait, so you would get very little benefit to ribeye size simply by crossbreeding. In crossbreeding you get increased amounts of hybrid vigor the more diverse the breeds you use. 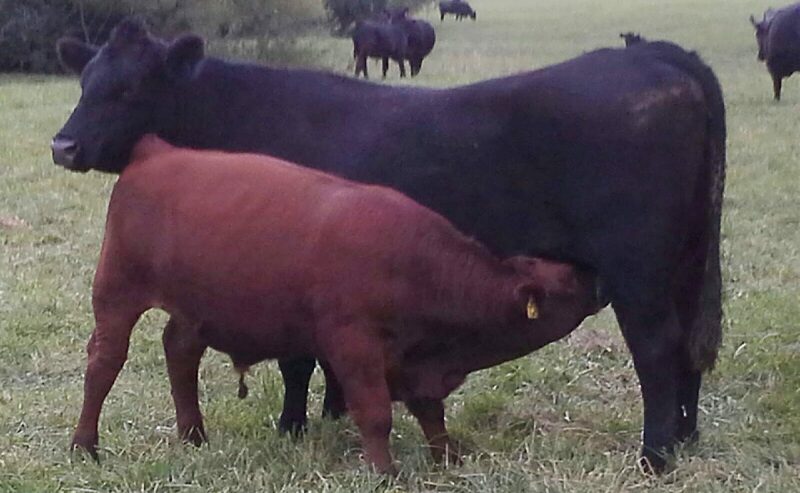 So, if you cross two British breeds like Angus with Hereford, you gain a moderate amount of heterosis. But if you cross that Angus to a Gelbvieh, which is a Continental breed, you would gain even more hybrid vigor. But, if you crossed that same Angus with a Brahman which is Bos indicus instead of Bos taurus, this would produce the most hybrid vigor. Just like everything in beef production, we are not targeting maximums. We want optimum hybrid vigor for the herd. You just need to know that you have increasing hybrid vigor the more diverse the breeds. That is why it is advantageous to use some Continental genetics in most herds.